Onions are part of the allium family, which contains over 300 species. The allium family also includes leeks, garlic, spring onions, shallots and chives. 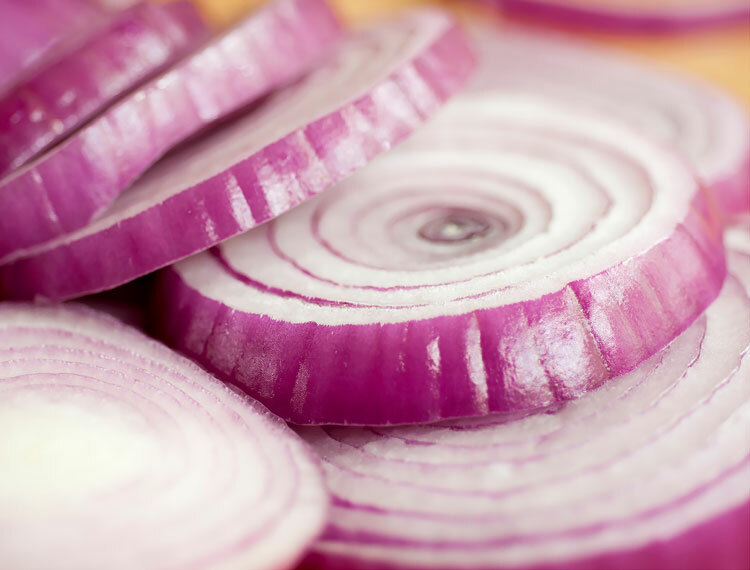 The pungent onion smell is caused by the presence of allicins, which get released when part of the plant is cut. This is what causes your eyes to water. Onions are planted at different times throughout the year, depending on the region and climatic conditions. It can take anywhere from 3 to 6 months months for onions to germinate from seed to onion bulb. 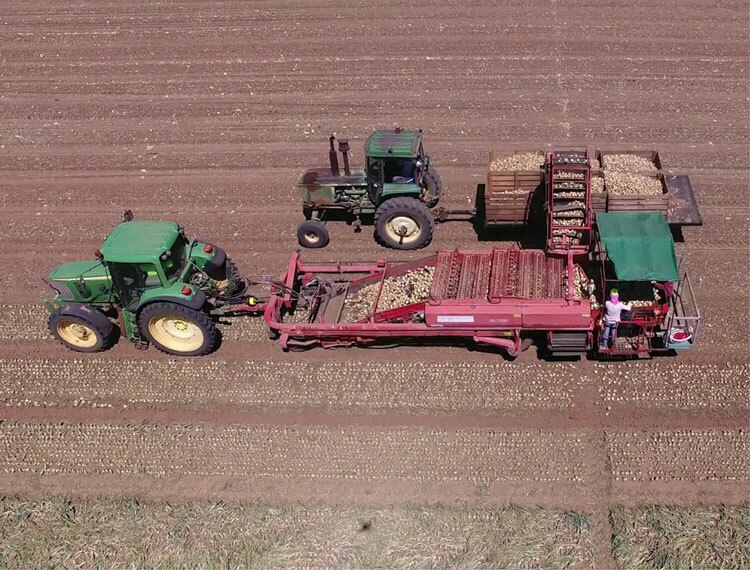 Onions are ready to harvest when 50 to 80 per cent of the tops have fallen. Onions are lifted by running a metal rod underneath the buried onion bulb, severing the roots and killing the plant. As the leaf dies the onion begins to develop its crispy husk exterior. Once harvested, the onions are then dried. This process can be undertaken in bins by using fans as well as natural airflow, or dried on the ground once lifted. Drying techniques depend on climatic conditions and regions grown. Onions are packed in a number of different ways. 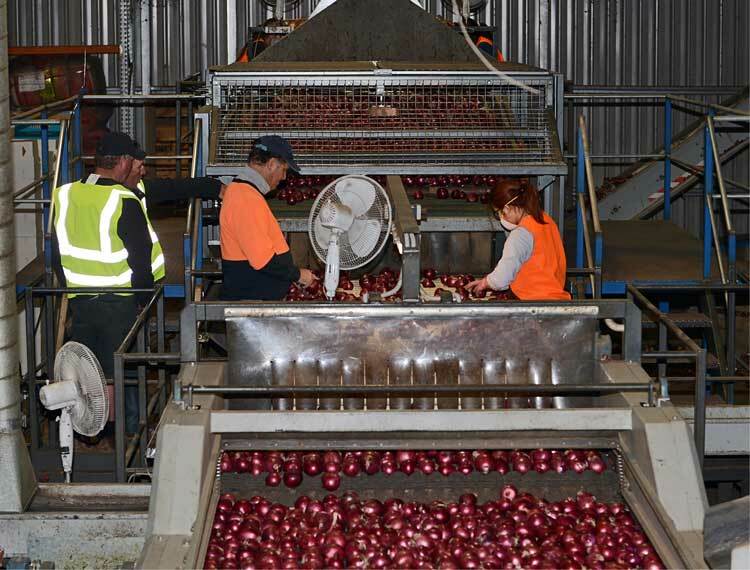 Most commonly, the onions pass through a series of conveyor belts where the tail and roots are removed mechanically. The onions then pass inspection tables where graders monitor and remove non-conforming onions. Onions are rich in vitamin c, are anti-inflammatory, and contain antioxidants. They boost the immune system, help keep the heart healthy, and promote good stomach bacteria. Onions are high in quercetin, an antioxidant known for being a natural antihistamine. 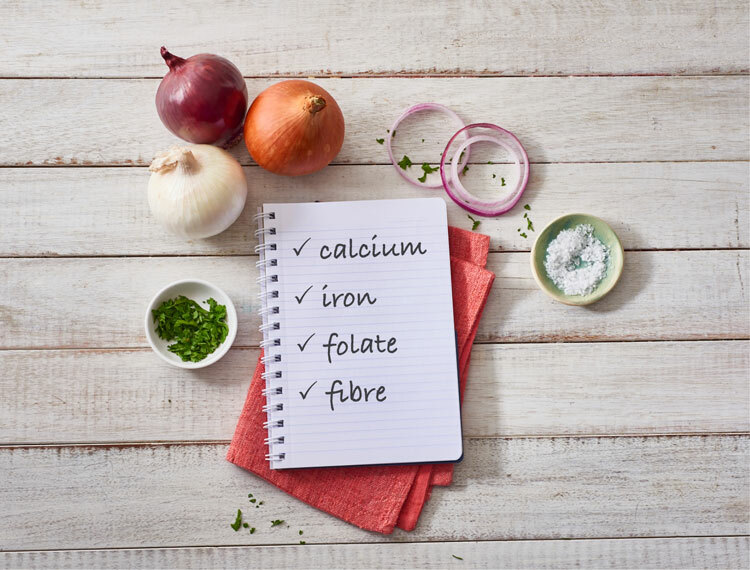 Onions also provide calcium, iron, folate and fibre. In animal studies, components in allium vegetables have been shown to slow the development of several types of cancer. Allium vegetables have been respected for their health benefits for thousands of years, long before science and modern medicine was able to explain why they’re actually good for us. Onions really are the original superfood. Look for onions that are firm and have dry, papery skins. Avoid onions that have developed green shoots or anything that shows sign of decay. Onions should be stored at room temperature, away from bright light, and in a well ventilated area. Onions are packaged in mesh bags because they like to breath. Avoid keeping them in plastic bags. All onions should be stored away from potatoes, as they will absorb their moisture and ethylene gas, causing potatoes to spoil more easily. 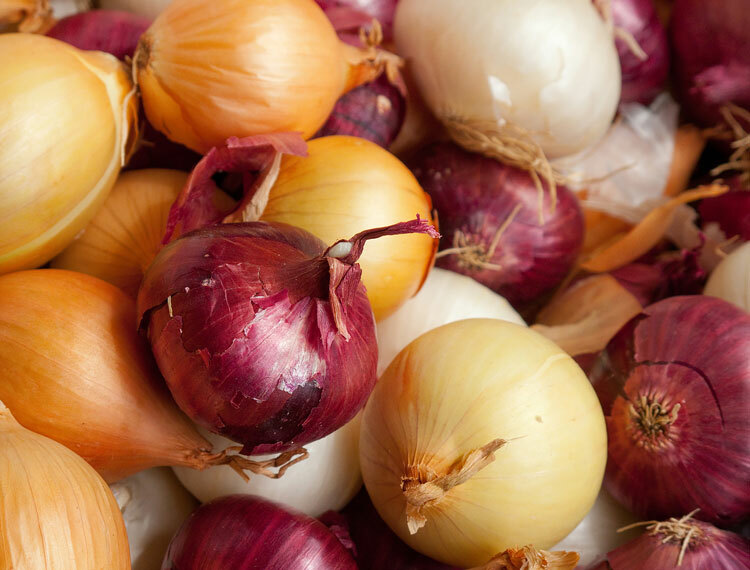 If you only use part of the onion, it can be wrapped and refrigerated for up to four days.